The Tao ethnic group on Orchid Island belongs to the Austronesian group, which is a branch of the Malayo-Polynesian language family. 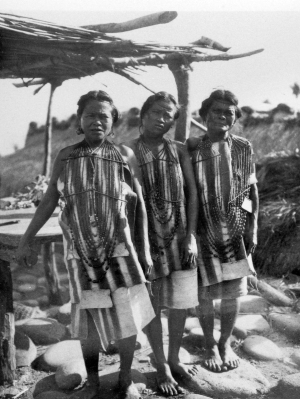 Their ancestors moved to Orchid Island from the Batanes Islands in the northern part of the Philippines about 800 years ago (de Beauclair 1959). Though they speak a Malayo-Polynesian language along with other indigenous peoples in Taiwan, their culture shows different traits. The Tao ethnic group is the only one which does not possess brewing skills and the customs of head-hunting, tattooing, and using bows and arrows are also absent. They make their living by fishing and growing tuber crops such as wetland taro and sweet potatoes, and their diet sets them apart from other groups. Moreover, their architectural style, their Flying Fish Ceremony, Boat Launching Ceremony, House Completion Ceremony, and their attitude toward death and spirits are also unique. 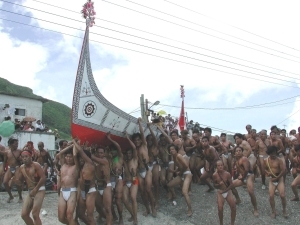 The current Tao population is about 5,000, and it is the only maritime ethnic group among Taiwan’s Austronesian groups. 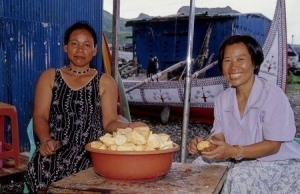 Tao (or Yami) are the aboriginal residents of Orchid Island. 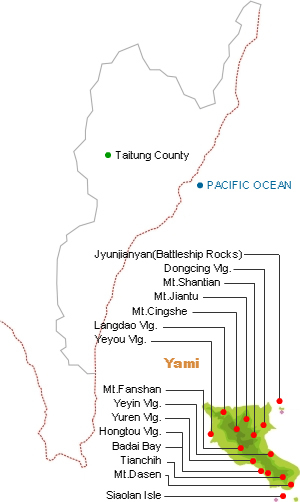 The name “Yami” first appeared in a report written by a Japanese scholar, Torii Ryuzo, after he paid his first visit to Orchid Island in the twenty third year of Emperor Guangxu’s reign (1897) during the Qing dynasty. Ever since then, “Yami” became the tribal name for aboriginals on the island and was used extensively in official documents and academic periodicals. However, the indigenous people on the island call themselves Tao or Tao no pongso, meaning “human” or “people on the island.” This is how they identify themselves. In addition, their name for the island, Pongso no tao, means “an island of people.” In Tao people’s traditional view of the cosmos, Orchid Island is not the center of the world, while the sea surrounding it is. This is distinct from the “China-centered concept” held by the P.R.C. Due to its geographical location, Orchid Island acts as a transit point for the migration of Southeast Pacific islanders, animals and plants, containing a rich Tao culture and various rare animal and plant species. This characteristic is of great value for the academic research concerning aboriginal people's ethnic origins and cultures, as well as ancient geography, biological geography and ancient animals in Taiwan, the Ryukyu Islands and the South Pacific region. 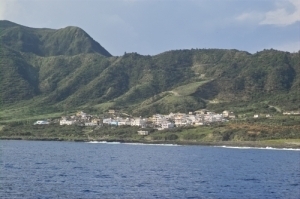 During Japanese colonial rule, the government declared Orchid Island a research zone in 1895, which helped preserve the traditional life style on the island and prohibited outsiders from entering or cultivating land there. 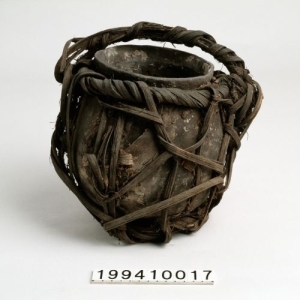 Therefore, the Tao’s unique culture could be preserved during the fifty-year colonial period. Hongtou Island (Red Head Island), off the southeastern coast of Taiwan in the western Pacific region, at 22°03' N, 121°32' E, is 40 nautical miles from Taiwan, 49 nautical miles from Taitung County, and to the south are the Batanes Islands of the Philippines. It is an ancient volcanic island with a coastline of 38.54 kilometers, and a coastal road of 45 kilometers long. There are nine mountains on the island, with Hongtou Mountain (Red Head Mountain) being the highest (548 meters above the sea). At sunrise, the mountain top glows red, hence the name. The pronunciation of Hongtou in Mandarin is similar to that of hongchong (red bug); as a consequence, most government workers declined to serve here. To correct this situation, the Taitung County government then renamed the island as “Orchid Island,” since it is home to phalaenopsis orchids, a very rare species. Orchid Island is surrounded by the sea, and has limited resources. The living areas on the island are divided into four similar environments by rocks; therefore, the Tao people distinguish them into ocean, coastal area, and mountain area. The transition areas between the coastal area and mountains are places where villages are established. Orchid Island is mountainous and steep, with very few plains. There are rivers in the valleys, forming alluvial fans along mountain piedmonts and beaches at the mouths of rivers. These alluvial fans have ample water resources, and are close to arch bays and long reef coasts where harbors lie. Also, these low-rise fans are ideal for settlement, hence the close concentration of villages. When it comes to social organization, the Tao culture emphasizes the bond formed by married couples; in terms of rituals, a successful Boat Launching Ceremony and House Completion Ceremony are occasions for the Tao people to gain renown. So they work hard to achieve their goals. While men are busy building houses or boats, women must also prepare feasts of wetland taro – the two are indispensable for a successful ceremony. Yumei Chen (1994) points out that a married couple (or a nuclear family) is the basic unit of the Tao social structure, as well as a concrete manifestation of the concept known as “sharing of substance.” This concept can help us understand both the group’s socio-cultural categorization and part of its socio-cultural operation. The author suggests that the Tao ethnic group is not equipped with a stringent patrilineal or matrilineal system. The formation of society and co-working groups must be studied by applying the concept of zipos (i.e. kin). The Tao social structure is defined by its agnatic lineage – they hold on to patrilineage, and kin from the same male ancestors are often tied together. The Tao do not have a clear social hierarchy, nor do they have chiefs. Instead, under the fishing-dependent culture, men compose kakavay (a team with boats and a large boat as the center) to strengthen their economic power in a paternal society. The Tao ethnic group lacks a well-developed religion, but they harbor an extreme fear of irresistible natural powers and the unknown world. As a consequence, they dread anito (evil spirits) more than the almighty god. Tao people point at the sun or the moon to make confessions and pray to god; however, there are no temples to worship gods and holy spirits, nor are there statues of gods. All these characteristics indicate that the Tao is a lesser developed ethnic group. Surrounded by sea, the Tao society is a typical maritime one. Their annual schedule corresponds to the flying fish season. The Tao people designed a calendar according to habitual behaviors of marine life and the movements of ocean currents, which includes restrictions and taboos regulating the fishing area, timing and methods. 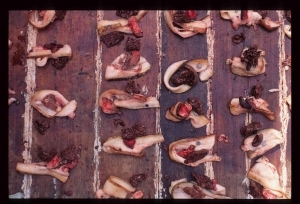 This calendar represents the Tao’s ethnic biology after accumulating immeasurable experience and wisdom from the sea. Spring is the major fishing season in a year; summer and autumn for agriculture; autumn and winter for producing goods and recreation. 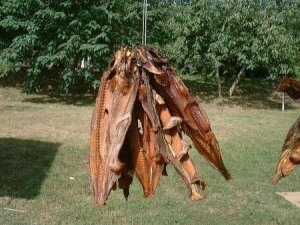 With the flying fish season as the center, all the months from February to October are assigned to related work accordingly, such as preparation, fishing, distributing the catch, and storage. We can say that the production, distribution and consumption of flying fish have determined the Tao people’s collective life style. The whole process of fishing for flying fish has tremendous ritual significance, and the Tao’s close ties with the ocean are also reflected in related ceremonies and rituals – the Boat Launching Ceremony and the Flying Fish Ceremony, in particular. 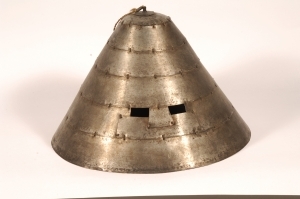 The Tao also has a rich material culture in this aspect; for example, building and carving plank boats, making silver, producing pottery and clay dolls are their extraordinary skills. Fishing is the major activity for Tao men to make a living, and advanced boat-building skills are thus developed. They consider a boat as a man’s body. Boat-building is a sacred mission and a part of life. Owning a boat means owning the ocean and the sky and having valor. 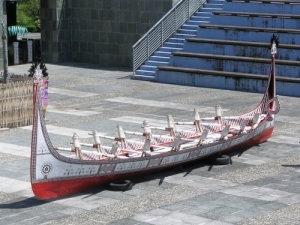 For the Tao, boat-building is the manifestation of divinity and beauty.